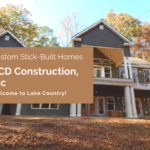 Lake Gaston is a unique home market with 5 counties and 2 states. The Lake is 34 miles long with 350 miles of shoreline. There is a lot to learn. There are bridges and culverts. You need to know the differences along with the pluses and minuses of these structures. Do you want (or need) to be closer to I-95 or I-85? Do you want to be in a subdivision or in a more secluded location? The main lake or in a creek? Are you looking for a full-time home or a weekend retreat? If you’re bringing a boat to your home, you need to know the water depth. The Lake is divided into quadrants and there are mile markers on the water for your convenience in locating your new property. Eaton Ferry Bridge is considered the mid-point (East/West) with the southern and northern shores dividing North and South. High water marks and Dominion Power’s property line are very important. Dominion owns the lake. Your realtor should be able to help with things like dock dimensions, permit transfers, septic rules, county set backs from the high water marks, vegetation/shoreline management, and pier Inspections. The traditional inspections and local contacts are very important. Some local contacts and resources are on “Lake Time,” so it is crucial to have a Realtor that can save you a lot of time and headaches. If you’re selling, marketing the correct areas and using current technology is what you should expect. I market on the Lake Gaston MLS, but also the Triangle MLS, which doubles your exposure. Drone Videos and Appraiser measured homes with home layouts/sketches sets us apart from the competition. With Offices in Raleigh & Lake Gaston, we have our finger on the pulse for one of the major markets that buys at LKG. Whether you’re selling or buying, whether it’s a investment property, a weekend retreat or your principle residence, this is a major event in anyone’s life. 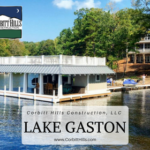 You need to select a Realtor that not only takes the State Test and Designation classes, but a Realtor that has deep roots in the Lake Gaston community. Do you live on the Lake? How many Sellers or Buyers are you currently working with? Do you have a Marketing Plan or Package? Please let me know if I can help you.